In chess, opposition (or direct opposition) is the situation occurring when two kings face each other on a rank or file, with only one square in-between them. In such a situation, the player not having to move is said to "have the opposition" (Flear 2004:12). It is a special type of zugzwang and most often occurs in endgames with only kings and pawns (Flear 2000:36). The side with the move may have to move the king away, potentially allowing the opposing king access to important squares. Taking the opposition is a means to an end (normally forcing the opponent's king to move to a weaker position) and is not always the best thing to do. There are extensions of direct opposition, such as diagonal opposition and distant opposition, which can be conducive to reaching direct opposition. All three types may be referred to simply as opposition if the type is unambiguous in context. Direct opposition. If Black is to move, White has the opposition and wins. If White is to move, then Black has the opposition and draws. Direct opposition is a position in which the kings are on the same rank or file and they are separated by one square. When the term opposition is used, it normally refers to direct opposition. In this diagram, the player whose turn it is not to move has the opposition. If it is Black's turn to move, White has the opposition and wins (Flear 2004:23). (See King and pawn versus king endgame.) If it were White's turn to move, Black would have the opposition and the position would be a draw. In order to remember how to play situations like in the adjacent diagram - each time the pawn is moved forward, it must be without giving check. If the pawn checks the opponent's king, the opposition is lost and the game is drawn. In the 1959 game between Svetozar Gligorić and Bobby Fischer, Black can draw by keeping the white king from getting to any of the key squares (marked by dots). This is accomplished by not allowing White to get the opposition, and seizing the opposition if the white king advances. This waiting move is the only move to draw. (In the actual game the players agreed to a draw at this point.) Other moves allow White to get the opposition and then get to a key square. If the white king gets to a key square, White wins. For example 1... Kb7? 2. Kb5, then the black king moves and the white king gets to a key square and then wins by forcing promotion of the pawn. 60. Ka5 Ka7 and Black draws. In this sequence, any other moves by Black lose (Müller & Lamprecht 2007:20), (Fischer 2008:86). Black to move. White has direct opposition, but it is not sufficient to win; it must be converted to diagonal opposition first. Black to move, White has diagonal opposition. Opposition along a diagonal (instead of a rank or file) is called diagonal opposition. Sometimes diagonal opposition is used to achieve direct opposition. An example is the position in the diagram on the left, with Black to move. White has the direct opposition in this position, but it does him no good because his king cannot attack the black pawn after the black king moves away. White needs to achieve direct opposition closer to the pawn. 2. Kd6 and White has the diagonal opposition (diagram on the right). 7. Kf7 or 7. Kxf6 win for White (Flear 2004:33). White takes the distant opposition with 1.Ke2. White takes the distant opposition. Taking the direct opposition; and now Black must step aside. If 3...Kf6 then White plays the corresponding 4.Kf4! 4.Kf5 would lead to both pawns queening. 4...Ke6 5.Kc5 and White is way ahead in the queening race. and White has a choice of which pawn he wins, using the created passed pawn as an outside passed pawn unless he can promote it directly. Otherwise White will be able to penetrate with Kc5, and will win the race to queen. White again has the distant opposition, transposing into the main line. Teaching tool: White is to checkmate and move the rook only once. Since the black king has been forced to step aside to the h-file, White can now penetrate on the f-file. If 4... Kh5 then 5.Rh1#. If 6... Kh8 then 7.Kf7 Kh7 8.Rh1#. Again, White penetrates. If 2.Kg3 then 2...Kg7 3.Kh3 Kh7 gives Black the distant opposition. The white king should simply march to key squares (c5 and then b6); taking the opposition with 1.Ke4 only draws. Yuri Averbakh pointed out that the opposition is a means to an end; the end is penetration to a key square (Averbakh 1987:5). 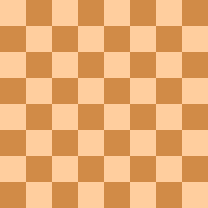 This can be a square in front of a pawn, so the king can lead it to the queening square, or into a critical zone to win an enemy blocked pawn. In the diagram, White should play 1. Kc5. Taking the opposition by 1.Ke4 merely draws. The second position shows a simpler example. If White takes the opposition with 1.Ke6 he makes no progress. The winning move is 1. Kc7 (see King and pawn versus king endgame).